You may have heard that piano lessons for kids provide multiple benefits; like doing better in school and improving coordination. 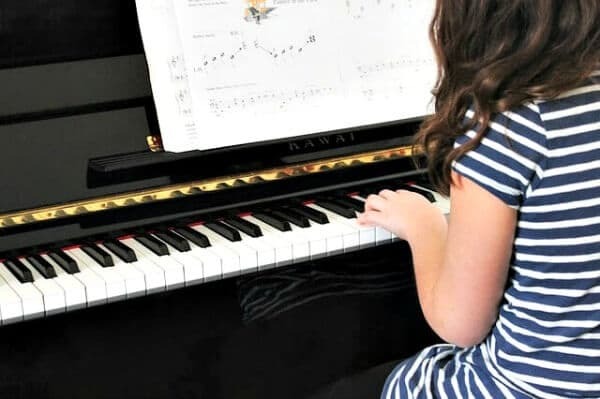 Read more general tips about starting piano lessons for your kid, about the benefits of piano lessons, what to think about before starting, and how to be a supportive parent. At What Age Should a Kid Start Piano Lessons? be able to listen to and follow instructions. It is also great if the child can count to five, and know the first letters of the alphabet. But perhaps most important is that the parent needs to be aware that most children will need help with the practice at home until about 11 years of age. The help should consist in positive reinforcement, reminder about practice, seeing to maintenance and care of the piano, buying sheet music and supplies when needed, and overall showing a positive interest in the lessons and the home practice. Should You Start Piano Lessons For Kids As Early As Possible? Well, not necessarily. The younger the child, the more assistance and involvement of the parent is needed, and the more specialized the teacher needs to be to teach young beginners. Some children can start as early as 4-5 years old, but most do much better waiting until 6-7 years old when learning retention gets easier as well. Instead of regular piano lessons for kids, it is advisable that a very young child has some kind of experience with a preparatory group music program, like Kinder Musik, or an Orff program etc. 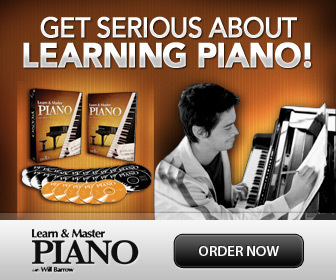 before starting with actual piano lessons for kids. This musical preparation makes for an ideal piano student later! If the child is very young it is important that the parent is present during the lessons. This is also to help the parent understand what to help the child with at home, as well as showing the child how important this lesson is. A very young child also has a very “soft” hand- and small fingers- which makes it more difficult to press down the keys than an older child. The very young beginner does best when note reading is not the main focus, but rather learning by ear as much as possible. The teacher needs to be a skilled and knowledgeable piano teacher and pedagogue. If the child is very young, the teacher should also have experience and special training in teaching piano lessons for kids. 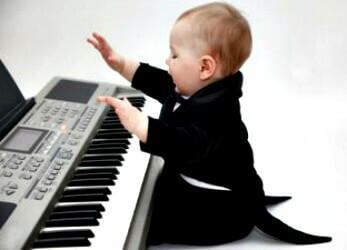 It is very important to take an active role in your child's piano lessons. The best support you can ever give is to show interest, pride and joy for every little accomplishment! Never, ever say negative or critical comments. Praise for everything your kid does right, and offer suggestions (not negative remarks) for improvements. Sometimes parents are worried that they can’t help because they know nothing about music. Nothing could be further from the truth! The best support is your never ending admiration and praise, and helping to organize the practice time. Provide a quiet place where the piano is in your home, so that your child can practice without disturbances. Listen to your child perform, and praise, praise, even if it is the same little piece for the 1000th time! Help the young beginner by making a practice schedule that works with the routines of the rest of the family as well. Stick to that schedule! Even if you don't play the piano yourself, you can help your kid learn piano with quality home school piano lessons for kids. The most common reasons children wants to quit is that the piano lessons do not meet their expectations, the pieces they play are boring, they do not get along with their teacher, it is difficult to find peace and quiet at home to practice- or they simply have too many other activities. It could also be because they didn’t want to play the piano in the first place. Should you let the child quit? Well, it depends. The best is to discuss it with the teacher. I usually tell parents and students to stick with it for a semester at least. If the child really, really do not want to continue, it is important to let them know that it is OK to take a break and they can continue lessons later if they want to. It is NOT a closed door, neither a failure! Occasionally it could be a good idea to try lessons with another teacher instead. Remember- no matter what- the lessons are never wasted. Learning an instrument is something you never really forget! You might feel “rusty” after some years, but the skill stays forever. Make sure to have a fun and well paced piano method to keep the young piano student engaged! and generally teach children to be well-rounded in life. I have parents who tell me they want to give their child piano lessons mainly because it is so good for their brain!